The holidays are a time reminiscent of hope, peace, and goodwill to all. 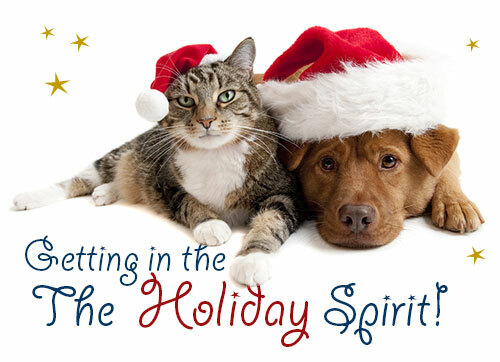 We celebrate by spending a little quality time with family, friends, and, of course, all the beloved animals in our lives, but another great way to get in the holiday spirit is by showing some love and investing in giving back to the community. It is no wonder this time of year is so often called the “Season of Love.” In that light, we would like to introduce you to some of the friends we love in the non-profit business that embody the “Holiday Spirit” by caring for so many needy animals in our communities. Because if there’s one love we all share, it is a love for animals! Fellow Mortals is a professional wildlife rehabilitation hospital in Lake Geneva, WI, that has been instrumental in procuring legislation to ensure standards and regulations are in place, maintained, and followed in the caring for the health and well being of wild animals in Wisconsin. One of the largest wildlife hospitals in Wisconsin, as well as the United States, Fellow Mortals operates on the one simple belief that individual life is precious. Thus, to the staff and interns at Fellow Mortals, professional wildlife care is never an “option.” It is the utmost imperative. This philosophy is supported by giving partners, donations, and most importantly by the extraordinary drive and compassion of the professional wildlife rehabilitators who commit to long hours for a very little pay in comparison to what they would be paid in wildlife biology, veterinary care, and other similar professions. Fellow Mortals’ goal is to inspire other rehabilitators in their field through their unique vision and approach by simply continuing to provide the highest quality professional wildlife rehabilitation through research, general education, and passion for quality animal care. Started in 1998 in a room behind a vintage clothing boutique store in Whitewater, WI, Touched By a Paw is a no-kill cat shelter caring for stray, neglected, and/or abused cats in the community. Their health services include testing for FELV and FIV, testing/treatment for worms and parasites, spaying/neutering, and up-to-date vaccinations. Touched By a Paw adoption services also include micro chipping and free registration. The non-profit is run solely by dedicated and compassionate volunteers and is supported only by gifts and donations, with no government help or funding. Their mission is to shelter and care for the health and well being of each cat through a shelter cat sponsorship program, and they strive to place each cat with a caring owner in a loving forever home. As we gather together with family, friends, and of course our pets, this holiday season, let’s remember those who strive to keep our animals healthy, safe, and cared for so that we can all enjoy our quality time with them. Thank you to all of our friends at Lakeland Animal Shelter, Fellow Mortals, and Touched By a Paw for loving our animal friends!